Please make sure you purchase one ticket for every member of your family, including yourself. The weather is getting warmer. What's better to do than to enjoy a nice sunny day at a park with your fellow SCBPC parents/kids? We will have a plenty of bubbles, arts & crafts, bounce house, face painting, and balloon art for the kids; hearty steak, chicken, al pastor, carnitas, and fish tacos, accompanied by some delish rice, beans, salsa/chip, HDL- and flavor-packed guacamole, as well as yummy churros for everyone. Come! Grab your kids, your sunscreen, your water bottle and come hang out with us at Coyote Point Recreation Area (site E1 and E2). 1. By signing up for this event, you agree to be responsible for your child(ren)'s safety at the park at all time, including but not limited to the use of the bounce house. 2. We will have some drinks available, but please bring your own water. 3. 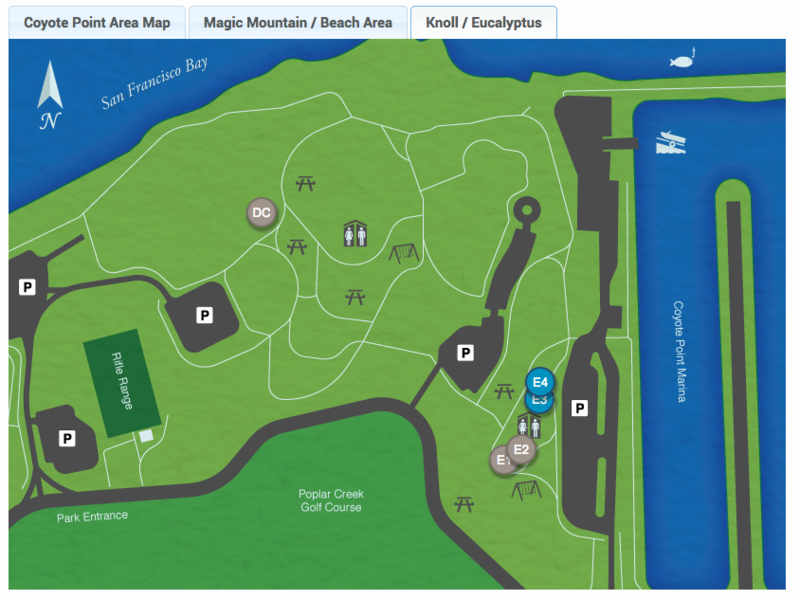 You are responsible for the a $6 parking fee at Coyote Point Recreation Area. 4. Current and active members only. No refunds, no cancellations.